LINCOLN, Neb. — The 20th annual 4-H & FFA Golf Classic will be June 23 at the Indian Creek Golf Course in Omaha. 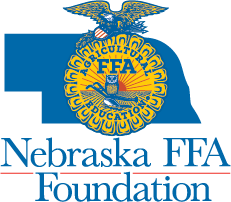 This year participants will not only celebrate 4-H and FFA, but also the 20th year anniversary of the event, said Stuart Shepherd, executive director of the Nebraska 4-H Foundation. "We're celebrating 20 years of support to two of Nebraska's most largest and successful youth programs," Shepherd said. "We are most grateful for the financial support over the 20 years from our gold, silver, tee and green sponsors; their financial support reaches over 150,000 kids annually in Nebraska." Registration and lunch begin at 11 a.m., followed by the shotgun start at noon. Participants will enjoy an 18-hole round of golf with cart and dinner. Registration deadline is June 1. The golf classic is for men and women of all ages who are advocates for 4-H and FFA. The Golf Classic is a major fundraiser for both organizations. "We have had many participants and companies in the past and a fair number have been very loyal to the fundraiser," said Rich Hickman, chairman of the 4-H/FFA Golf Planning Committee. "A number of agribusinesses are aware of the impact that 4-H and FFA have on the education of rural and urban children. Many of the resumes that we receive almost always include one or both of the organizations. Employers recognize the need for accomplished future employees. Both organizations help a great deal. It takes a community to raise and educate a child." In Nebraska, more than 143,000 youth ages 8 to 19 participate in 4-H and 7,100 high school students are members of FFA. Many high school-aged youth participate in both organizations, Stuart said. In addition to golfing, raffle prizes will be awarded a dinner are a part of the event. Typically, about $40,000 is raised with 4-H and FFA each receiving $20,000. For more information or to register, visit http://ne4hfoundation.org/events/4-hffa-golf-classic/ or contact Stacey Agnew or Sarah Mullen at the Nebraska FFA Foundation.